Human interaction with technology is constantly evolving, with rapid developments in online interaction, gaming, and artificial intelligence all impacting upon and altering our behaviour. The speed of this change has led to an urgent need for a new field of study, cyberpsychology, in order to investigate the ways in which human behaviour is affected by the addition of technology, and the benefits and risks thereof. 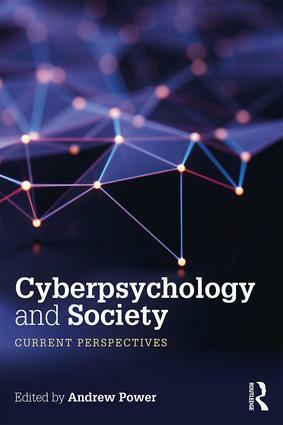 Cyberpsychology and Society does not offer a description of or justification for the field of study, but is rather a presentation of some of the most recent research in many key sub-topics within the area. Based on the work being done in the Institute of Art, Design and Technology (IADT) in Dublin, Ireland, Cyberpsychology and Society brings together a unique collection of writings by contributors on cyberpsychology in relation to health, education, gaming, consumer behaviour, and social change in an online world. The book focuses on the impact of societies’ increasing interaction with technology, and is a presentation of some of the most recent research in the area. Describing cutting-edge research while employing a tone which is accessible to both students and academic staff, this book is an invaluable resource for students, researchers and academics of cyberpsychology and related areas.